Sold by iOttie and Fulfilled by Amazon. Gift-wrap available. Amazon's Choice for "iottie sticky gel pad"
Sold by iOttie and ships from Amazon Fulfillment. Sold by Wiiki-Tech and ships from Amazon Fulfillment. 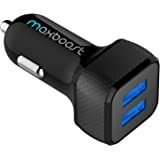 Sold by AUTO-TECH and ships from Amazon Fulfillment. 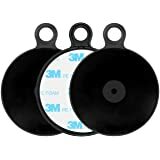 Fits devices 2.3-3.5 inches wide. Rotates 360 degrees. at top mount. 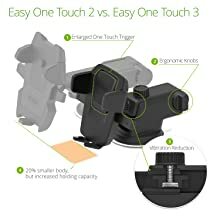 The Easy One Touch 3 provides a compact, versatile, and highly functional mounting solution. It offers a redesigned telescopic arm which extends up to 5 inches to provide users with even more viewing angles. Also included is an adjustable bottom foot that not only moves left and right but also up and down. 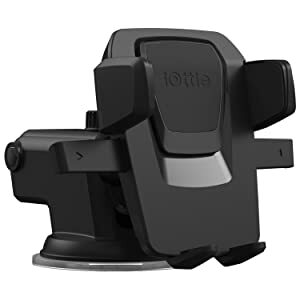 As always, the Easy One Touch 3 includes the powerful iOttie sticky gel pad. 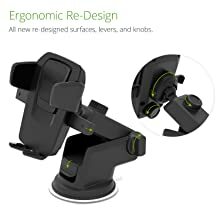 Includes taller Locking Side Arms with increased arm tension that comfortably fits larger smartphones and their protective cases. 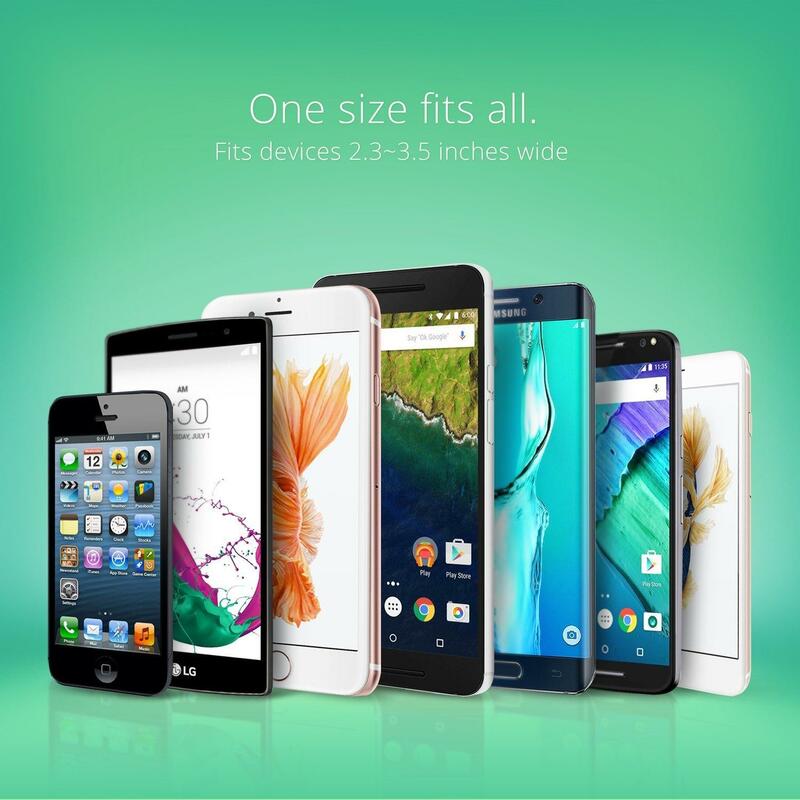 The device width compatible is 2.3 inch, Min- 3.5 inch. The telescopic arm can pivot up or down for a total of 180 degrees for a variety of angles and optimal viewing capabilities. All knobs, buttons, and levers were re-shaped and sculpted to be more ergonomic.Adjust to your personal preference with a few simple turns. Includes a Super sticky gel pad that sticks securely to most surfaces, yet is still easily removable. 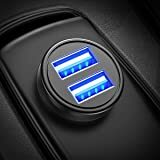 We recommend using the included dashboard pad on dashboard surfaces. Secure design constructed with high quality ABS plastic. New improvements to the best features of its predecessor, including, the sleek new trigger button. The Easy One Touch 3 provides 4 different viewing angles. This allows the user to use their mount in their desired location in the vehicle. The grid above shows different positions for different mounting options. 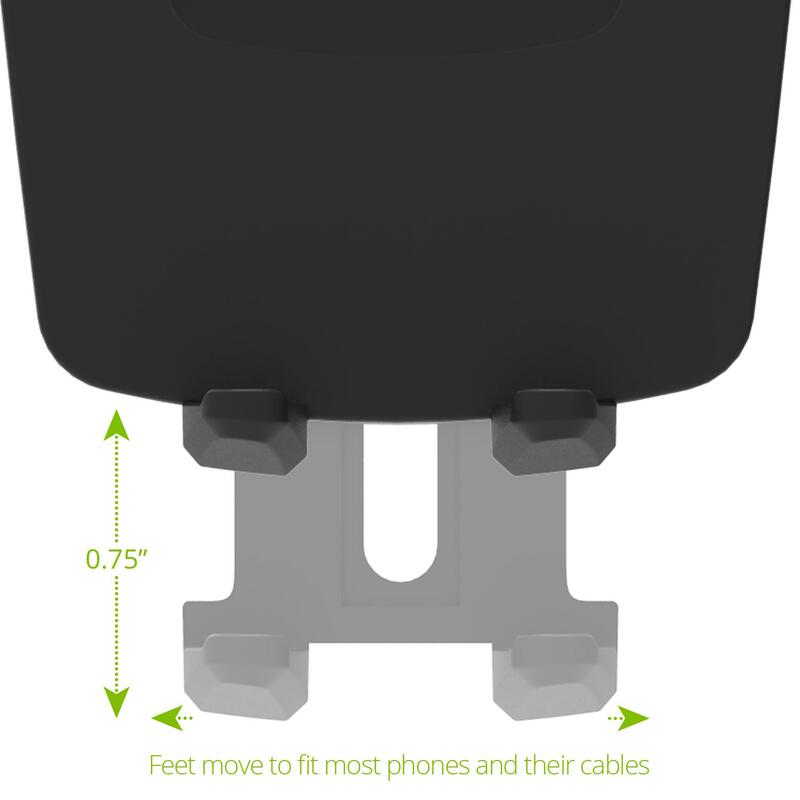 Two adjustable bottom feet that can move side to side as well as up and down to accommodate phones and side buttons of all sizes. 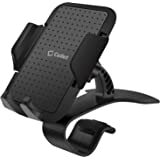 Includes an optional but recommended separate dashboard pad to support improved mounting on all surfaces. 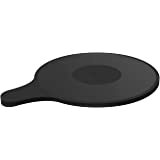 Just place the pad sticky side down, then mount the famous iOttie Sticky Gel Pad on the smooth side and you are ready to go! 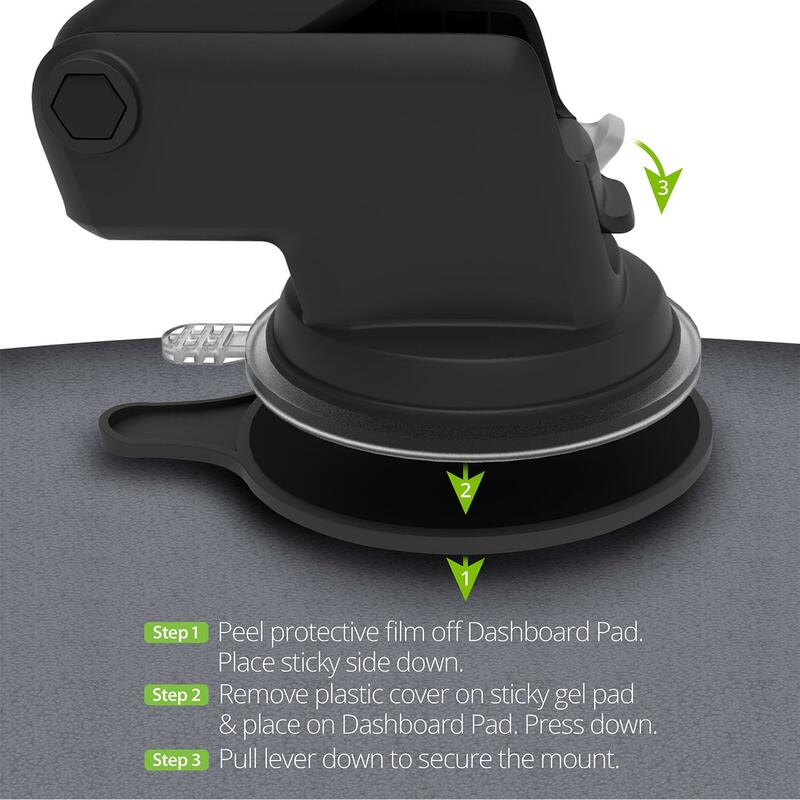 Using your dashboard pad, you can place the Easy One Touch 3 on your dashboard safely and securely. This will stick to most surfaces and is easily removable. 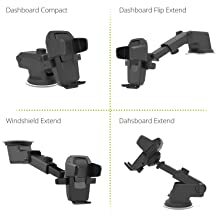 After placing your dashboard mount then your mount, you can extend your telescopic arm to obtain a better viewing angle. In addition to mounting on your dashboard using the dashboard pad users can extend the Easy One Touch 3 at its telescopic arm and angle it up or down to allow for a better viewing angle. Another option is mounting your Easy One Touch 3 on the windshield (no dashboard pad needed). This will allow a strong stick as well as a different and great viewing angle. 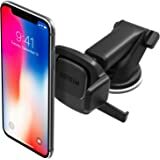 The newest addition to the Easy One Touch family provides a compact, versatile, and highly functional phone mounting solution. 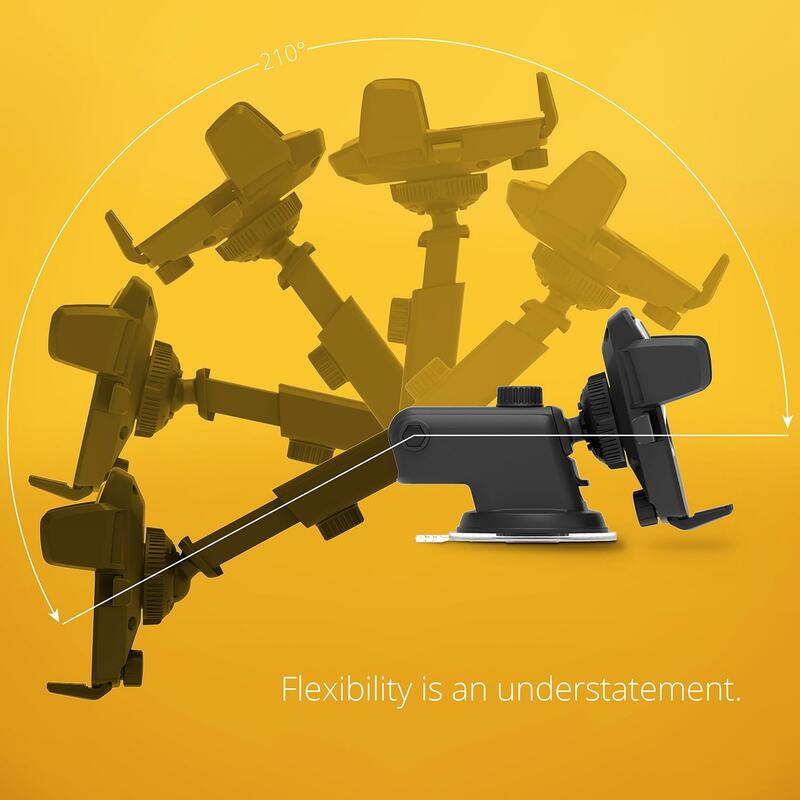 The Easy One Touch 3 offers a redesigned telescopic arm which extends up to 5 inches to provide users with even more viewing angles. The arm is very sturdy to ensure that extension will not cause vibration. Also included is an adjustable bottom foot that not only moves left and right but also up and down. 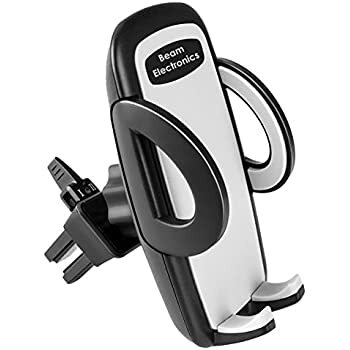 Adjust to your preference so various devices can always sit in the perfect position. As always, the Easy One Touch 3 includes the powerful iOttie sticky gel pad. The Easy One Touch 3 has one last exciting feature: new compatibility. 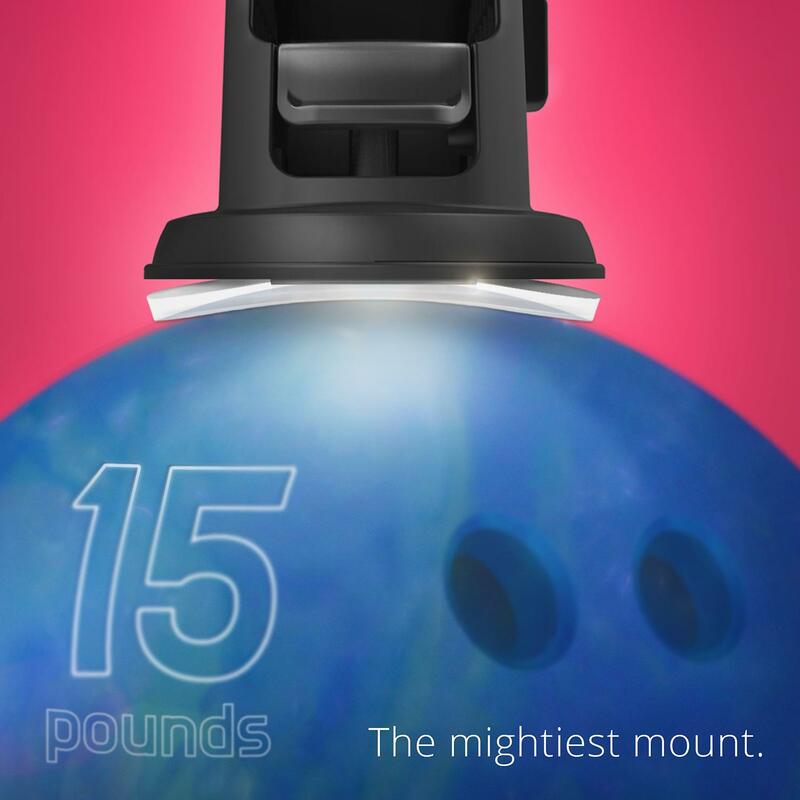 Phones up to an impressive 3.5 inches will fit safely into this mount. 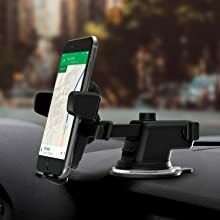 No matter what device, skin, or case you are using, it will latch securely so you can drive with safety and confidence in mind. Mount Smart. Drive Smarter! 4.0 out of 5 starsRough start, but getting better. I will preface this review by pointing out that the original purchase URL has been converted to this URL, I suspect as a way to distance the product from poor reviews that were cropping up at an alarming rate. I purchased the One Touch 3 at the end of January 2016 and by the first week of March the device has been rendered useless. 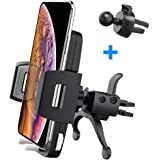 As many other customers have pointed out, there is a spring that pull both of the top mount clamps together (the clamps that hold the phone). There are two little plastic hooks molded into the backs of each clamp that hold either end of the spring. 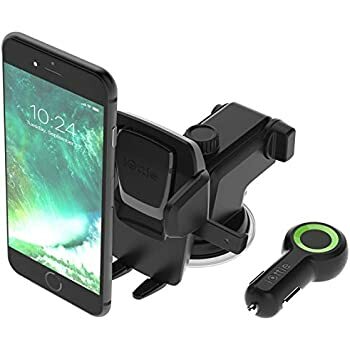 After a few uses, one of those hooks sheared away and now the clamps cannot hold any phone, thus rendering the entire car mount device useless. 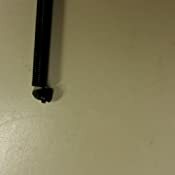 Being beyond 30 days from purchase, the product was no longer eligible for a return or refund from Amazon, so the only option is manufacturer warranty. I reached out to iOttie to enact the product warranty. They have added me to a "list" to get a replacement top mount part. This was about a week ago. I will update my review as the situation evolves. Shortly after my review went up I received a tracking number for my replacement. 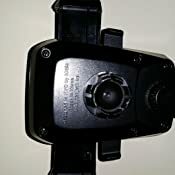 I received the replacement top mount component and so far so good. 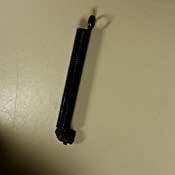 Initially I was worried about the hooks in the back looking very similar to the previous version, but when I reached out to iOttie about it, they assured me that the inside of the hook is different and they changed the way the spring is attached. I was strongly reassured that this new version had addressed the problem they had initially. Since I really didn't give a lot of details initially, I'd like to expand my review properly. 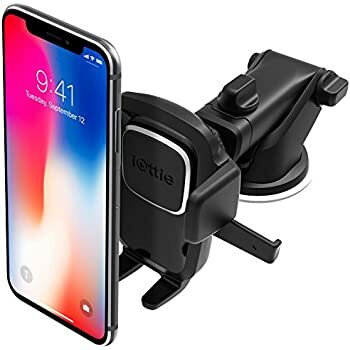 I bought this product as a way to mount my phone to the dash without modifying the dash itself or blocking one of my air vents. The suction mount is very strong but unfortunately it could not hold to my dash for more than a few minutes. 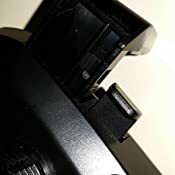 I have a slightly textured plastic dash that I cleaned thoroughly before attaching but even just the weight of the unit itself was enough to pull it off in a few minutes. 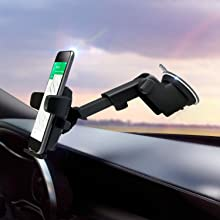 I didn't want to block any view of the windshield but luckily the mount arm stretches enough I could mount it relatively low on the windshield. On the glass, the suction cup feels like it is glued in place. It is very sturdy. There are several points where you can tighten joints when you get it positioned where you want it and further sturdy the arm. The best part is the threaded cuff on the ball joint that attaches the top mount to the arm. 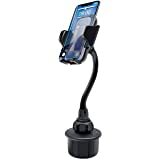 Once you get it into position and tighten it down, you can tap on your phone without it moving everywhere, which is terrific. 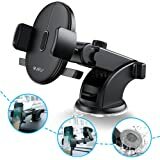 All in all, this is the best suction cup mount I have used so far and I would recommend it to anyone looking for something a little sturdier. Also, iOttie has communicated quite a bit throughout this ordeal so in the event of you getting a lemon, just send them an email. They'll get you fixed up. Great product. 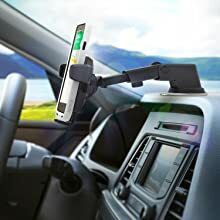 I was looking for something that would allow me to mount my phone on my dash and this is it. 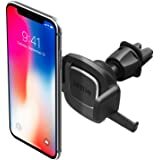 Easy to use and secures the phone with no worries. Makes using the navigation feature much easier. So unfortunately this is my second purchase of this item. After owning this for a year, the first one had 2 issues. 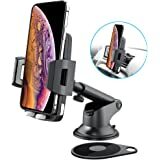 1) the tilt adjustment knob at the back cracked and I was no longer able to adjust the height; 2) the one-touch pad broke off not allowing me to secure my phone in the cradle so I went ahead and ordered a new one. I received it yesterday and now my iPhone 7 plus barely fits. It's secure, but if I put a bigger case on it, I don't think it will fit. Also, the one-touch pad no longer says "iottie". What happened to the branding, and why does the cradle seem so much smaller. For this I have to lower my rating. Because the 2nd one I received appeared to be of lesser quality, I ordered a replacement and it is no better. I actually think it’s a fake. To verify, I ordered one directly from the manufacturer, and the products are VERY different. In the pics, the item in the left came from Amazon, while the one on the right is directly from the manufacturer. VERY DISAPPOINTING. 5.0 out of 5 starsAmazing phone mount! 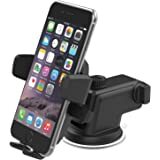 This is the best car phone mount! 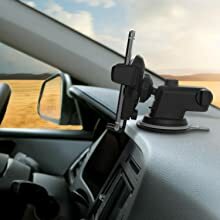 What I absolutely LOVE about this mount is the ability to secure it to my dashboard and not on my window! I HATE stuff stuck to my windows as I always feel as if it is obstructing my view. 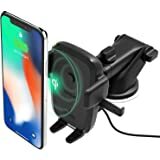 I couldn't find anyone who spoke of it so I wanted to confirm how well it works on the dashboard! It comes with your typical suction cup, which is of great quality. That can be used on the window, obviously! Then it also comes with this circular rubber disc piece. One side had a film that stated to remove to stick. You would clearly want to make sure the area of your dashboard you want to use it on is not only clean, but the place you want it as removing it and resticking it I don't find to be the best option here. You want to leave the sticky pad in one place, so make sure it is where you want it to be. I chose to the left of my steering wheel so there is no obstruction in the center of my car. Clean the area, stick it down (it is VERY sticky), press and hold for a few seconds to really make sure it sticks. Then you use the suction cup and suction it to the top of the circular disc. It holds SO WELL! I have had no issues whatsoever. Everything is adjustable. The part that grabs the phone swivels on a ball joint type swivel. There is a bottom for your phone to rest on which is also adjustable. 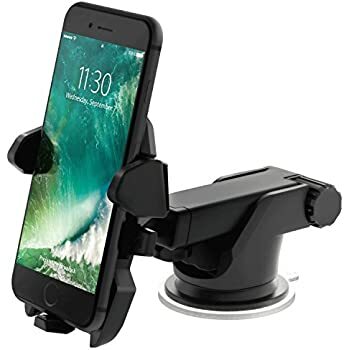 Before sticking it to the dashboard, I first put my phone in it and swung it all over (over my bed in case it fell out) and the grip it has on your phone is fabulous. 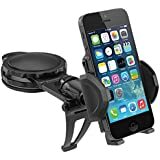 No worry that your phone will fall out or that the suction/sticky pad won't hold. 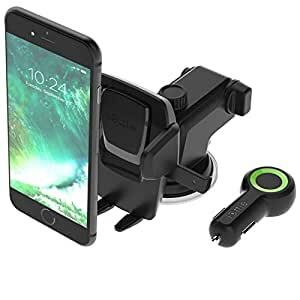 VERY impressed with this mount and would purchase again and recommend to friends/family.